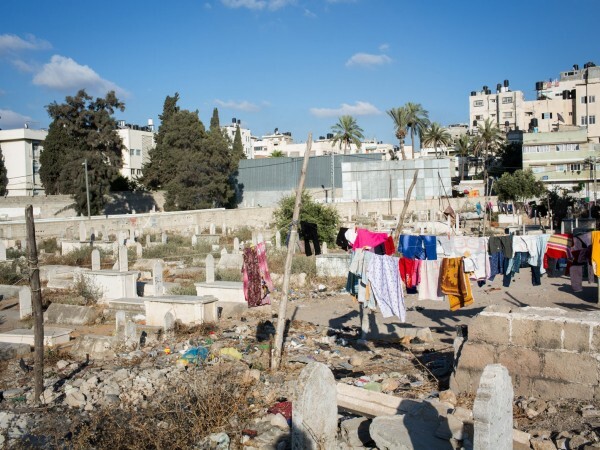 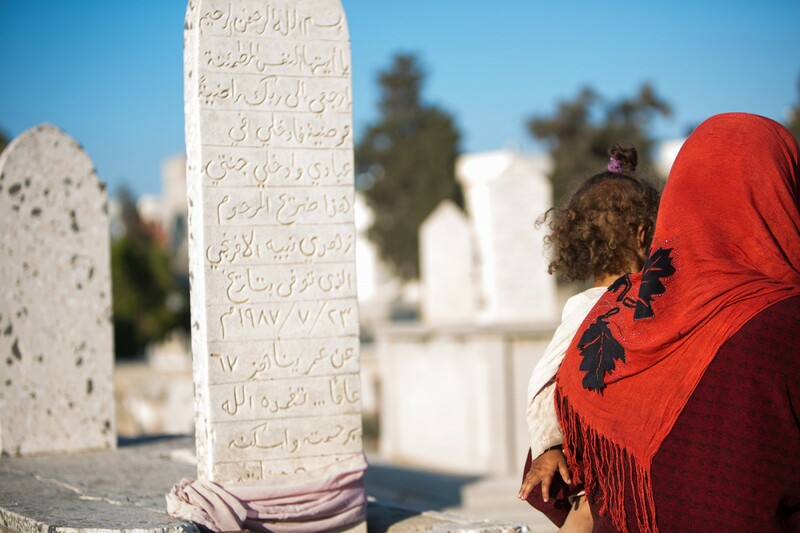 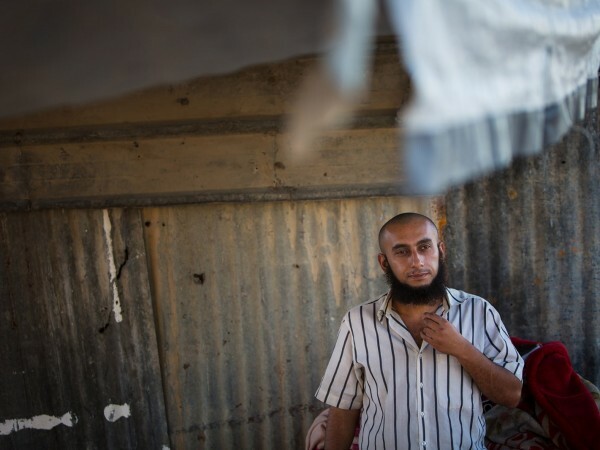 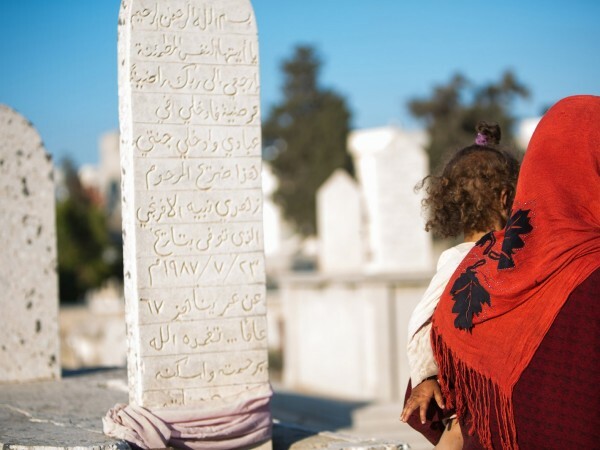 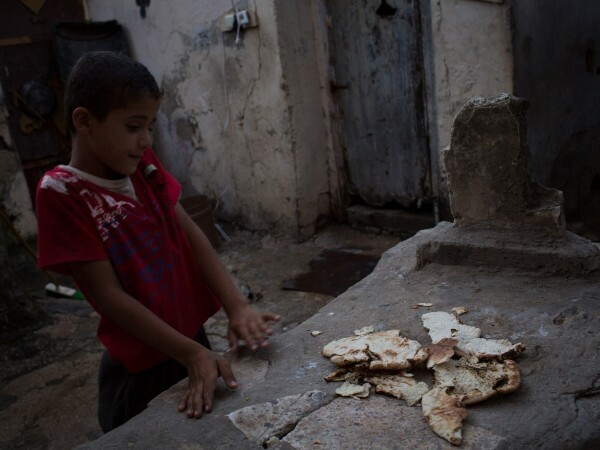 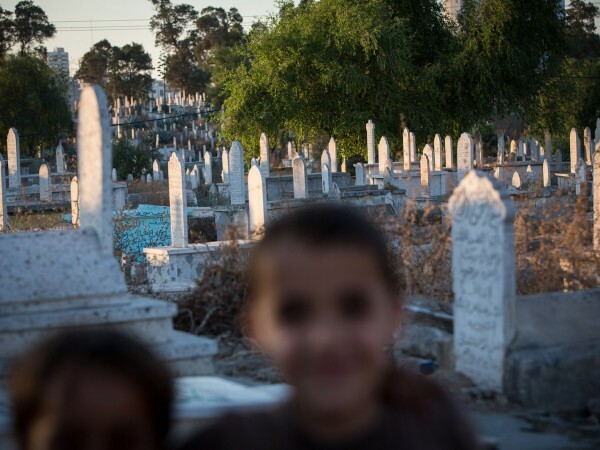 Around 60 people currently call the Sheikh Sheban cemetery in Gaza city home. 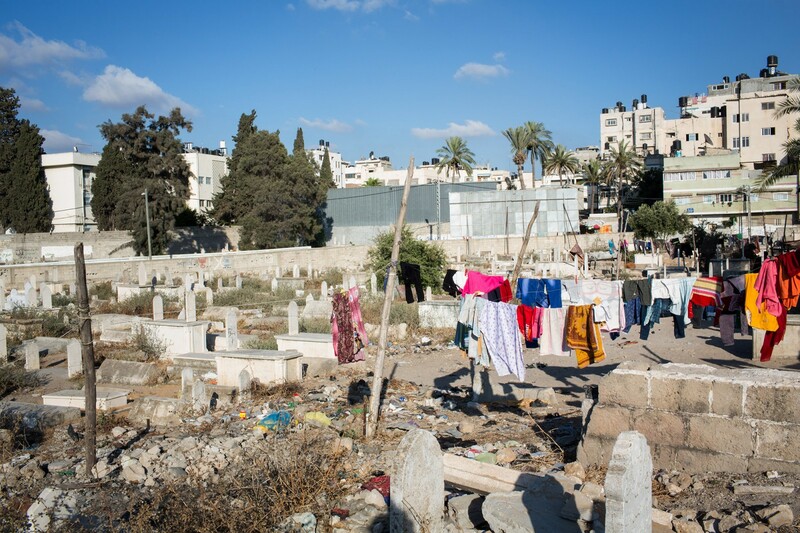 Some families have been living there since the Nakba in 1948, their fathers and themselves were all born there. 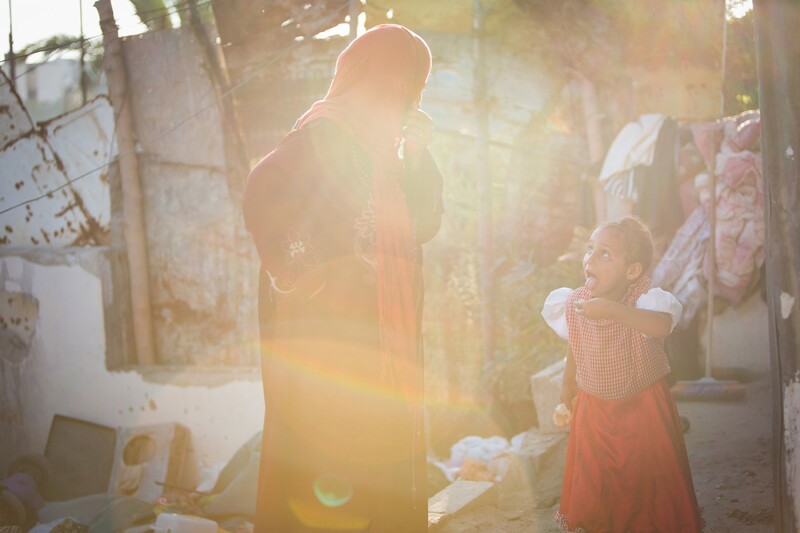 Some residents make money collecting rubbish whilst others rely on minor donations from aid organizations or the generosity of individuals. 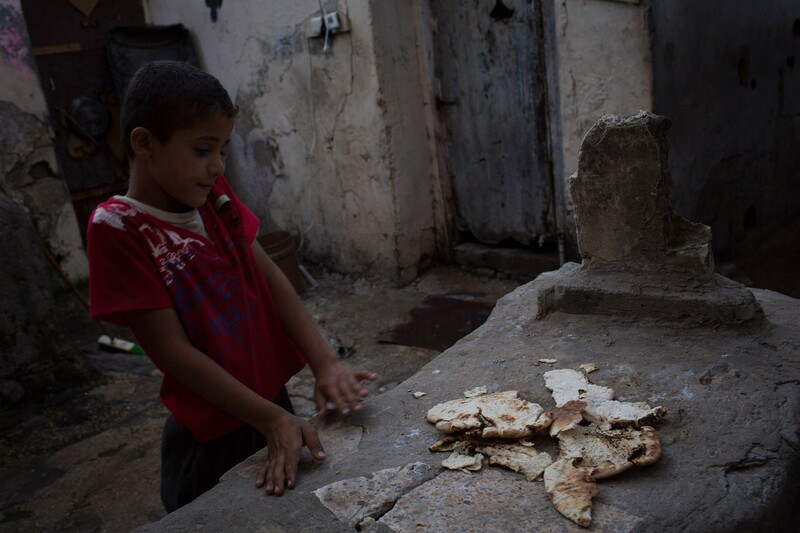 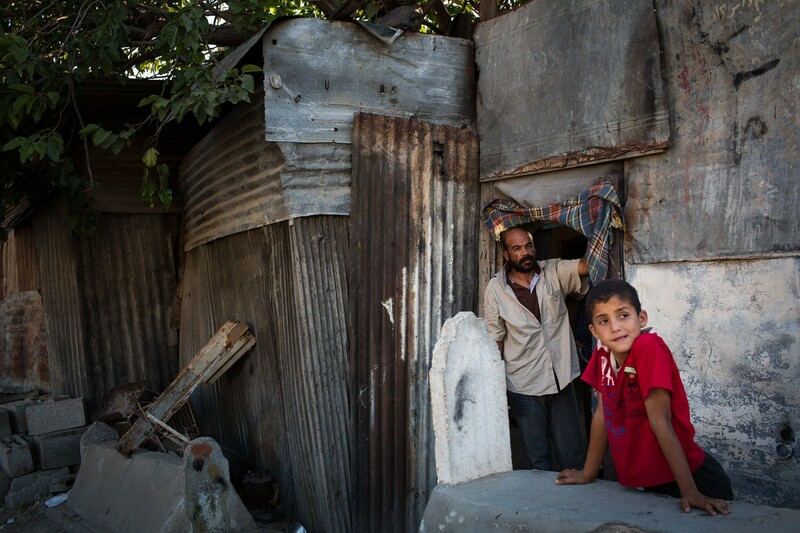 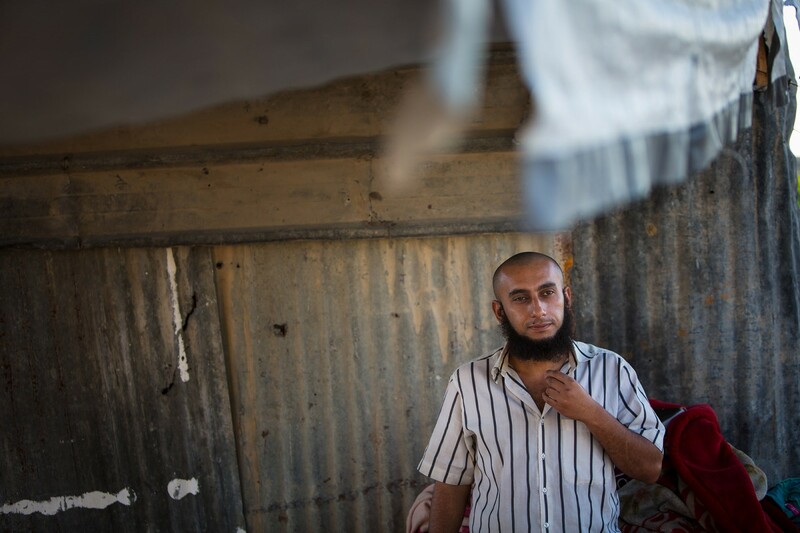 “Everyone has their own situation, this is our life,” says life-long resident Hisham Khalid Al Ghorabey. 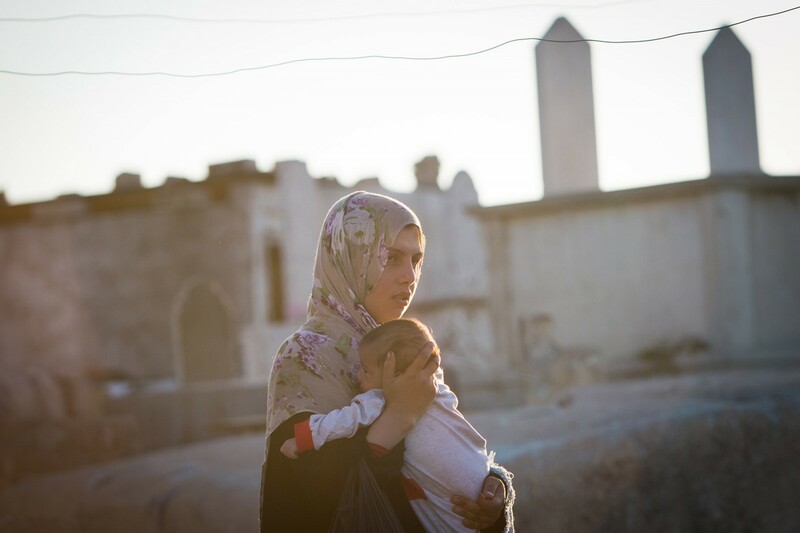 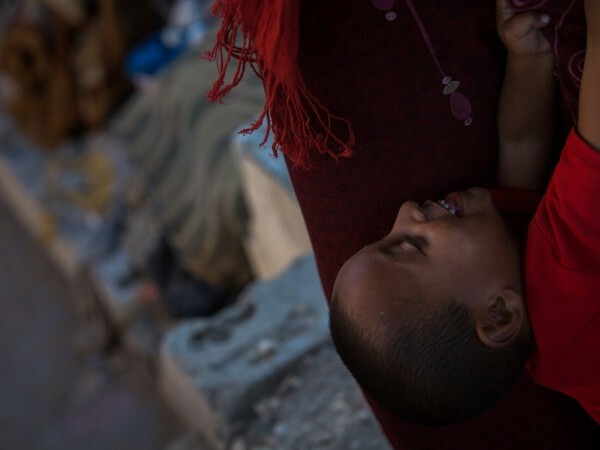 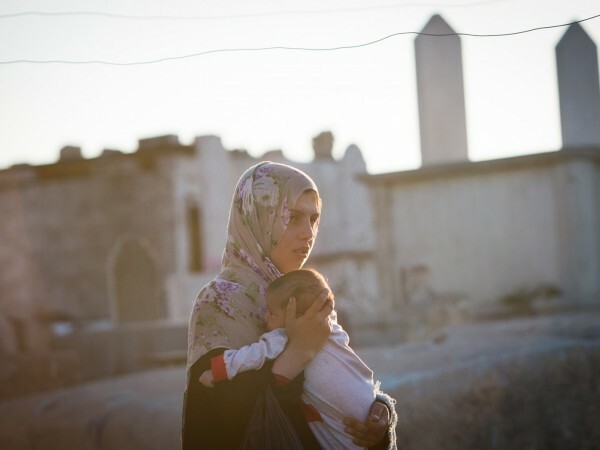 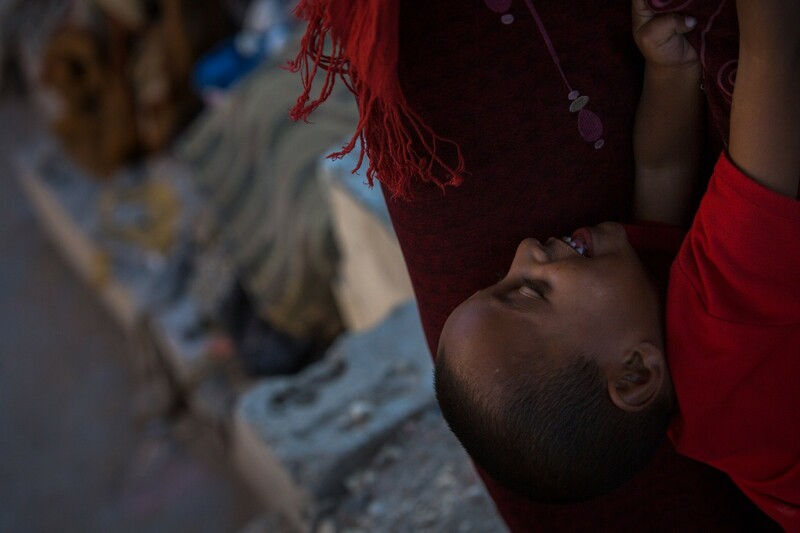 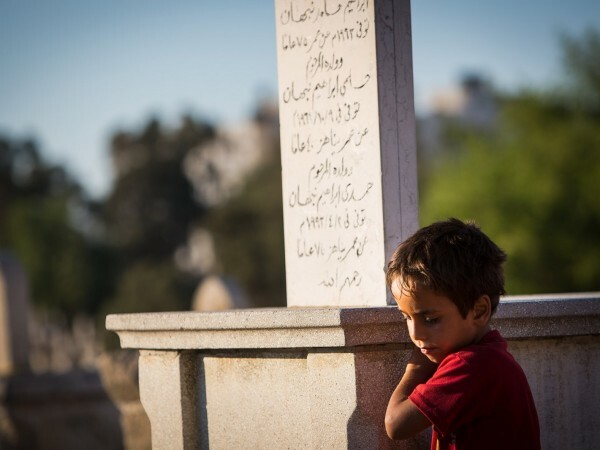 Gaza, Palestine - 10/07/2015: A mother and child from the community who live in the Sheikh Sheban cemetery in Gaza City. 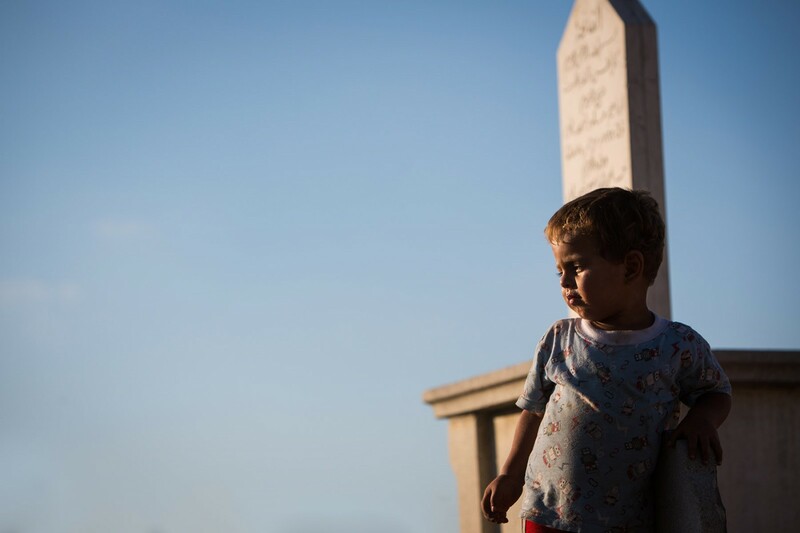 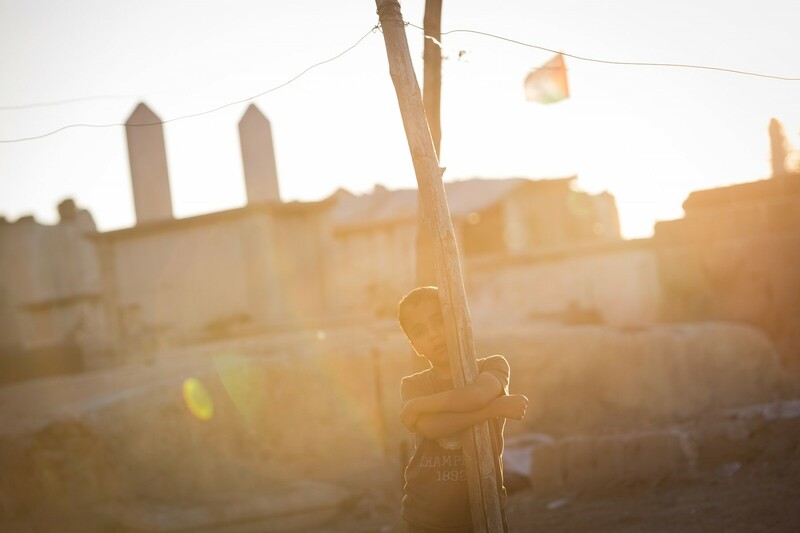 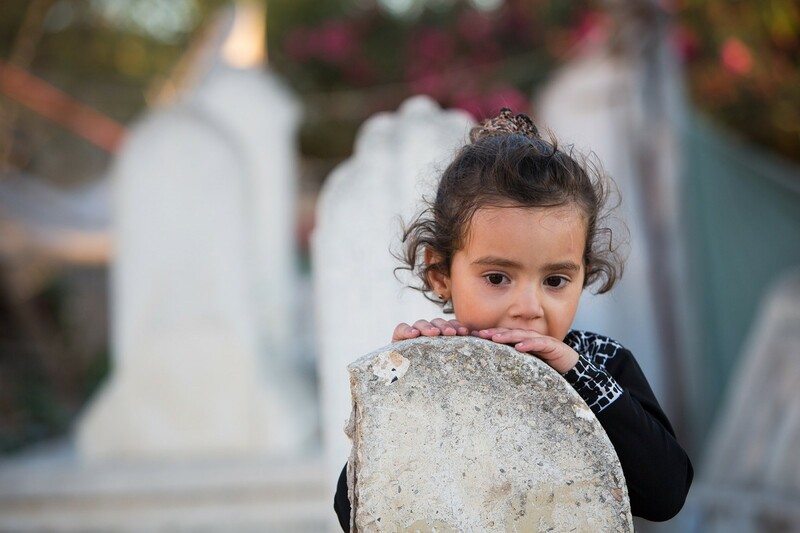 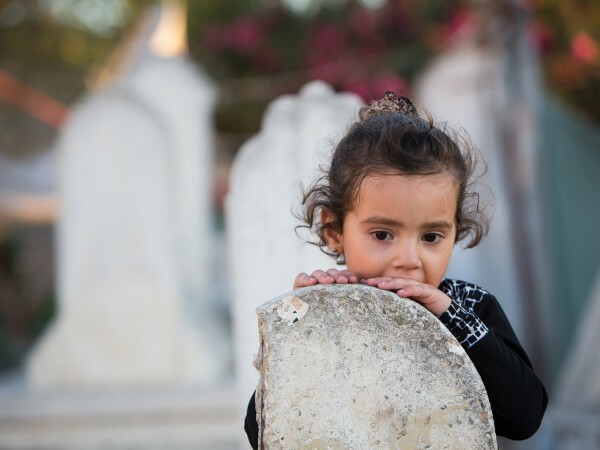 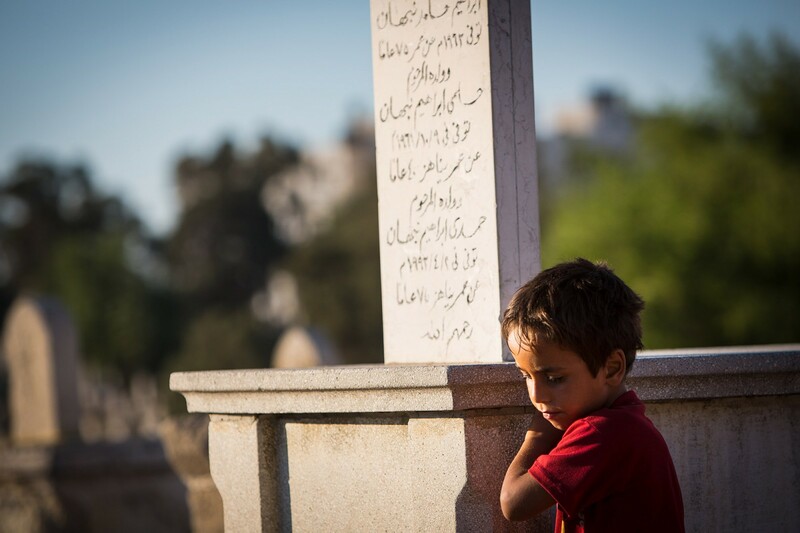 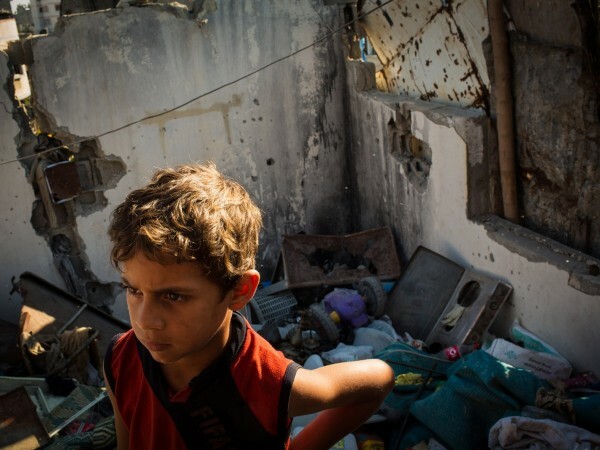 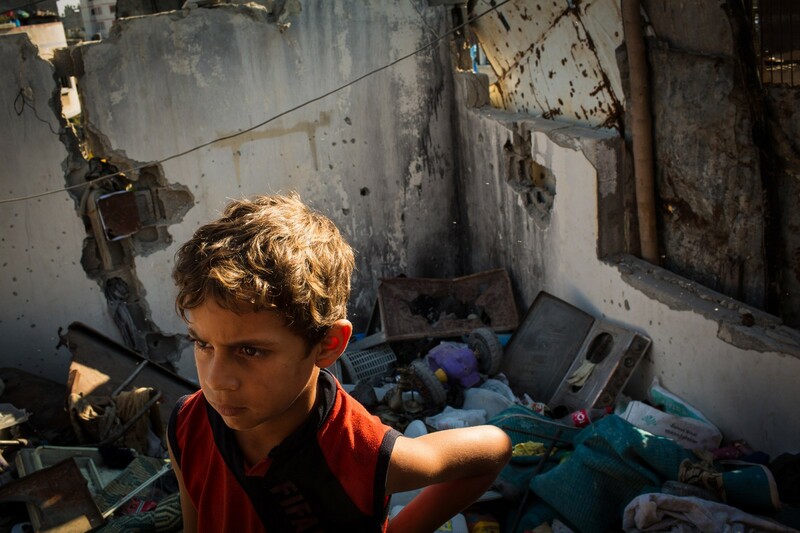 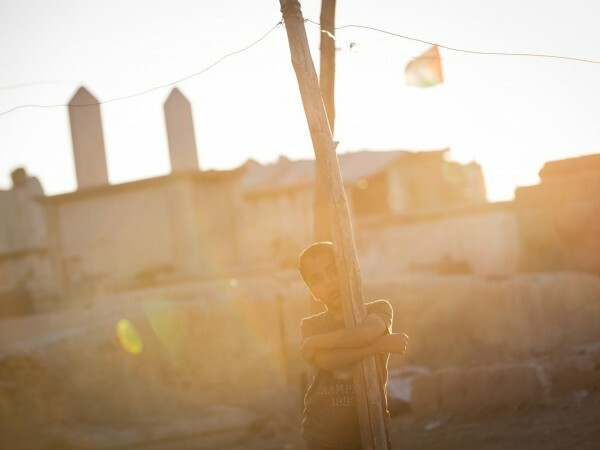 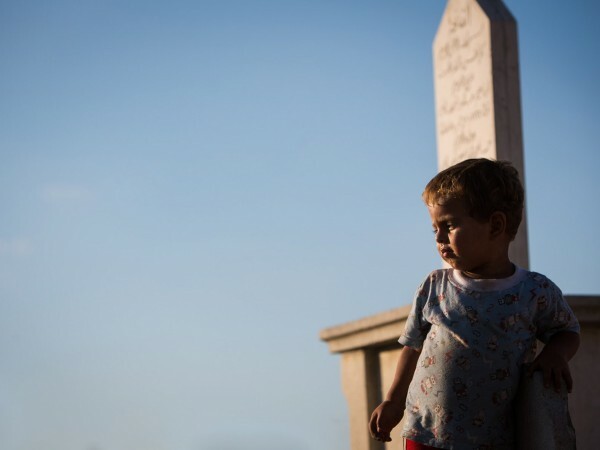 Gaza, Palestine - 10/07/2015: A child from the community who live in the Sheikh Sheban cemetery in Gaza City. 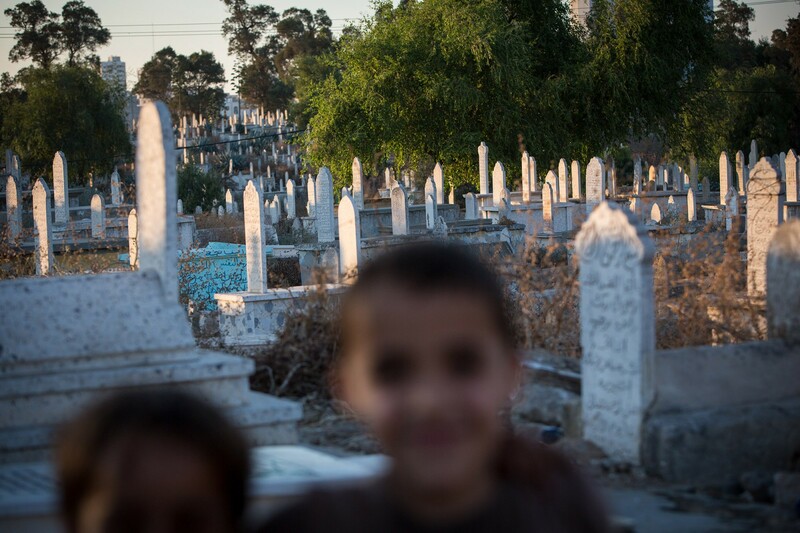 Gaza, Palestine - 10/07/2015: The community who live in the Sheikh Sheban cemetery in Gaza City. 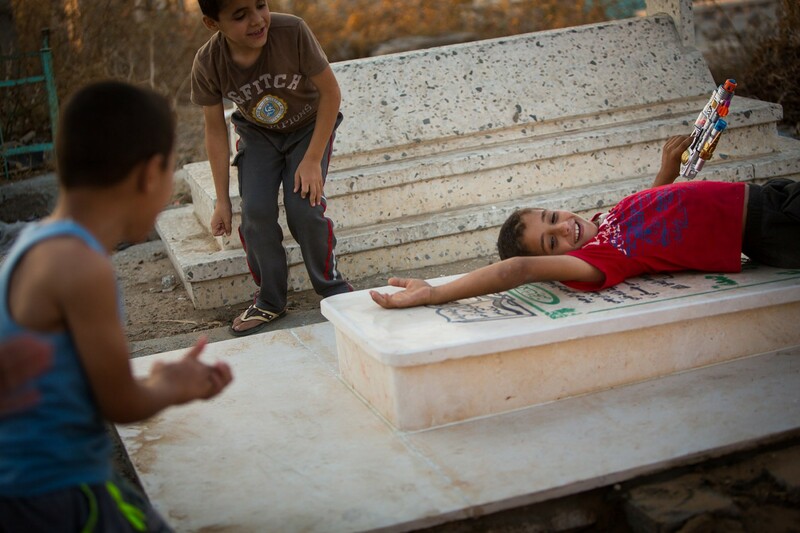 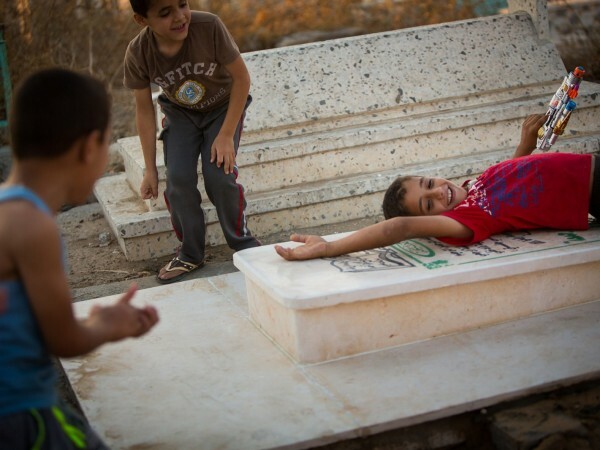 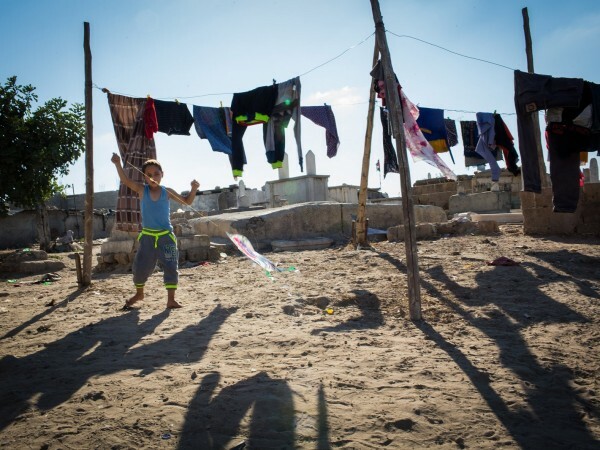 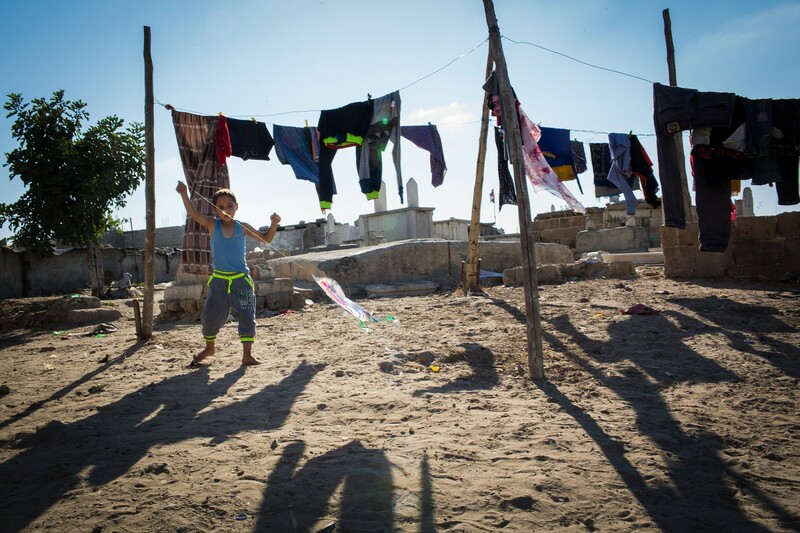 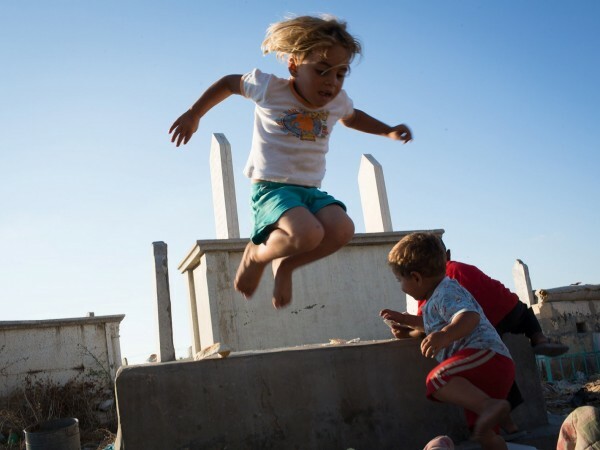 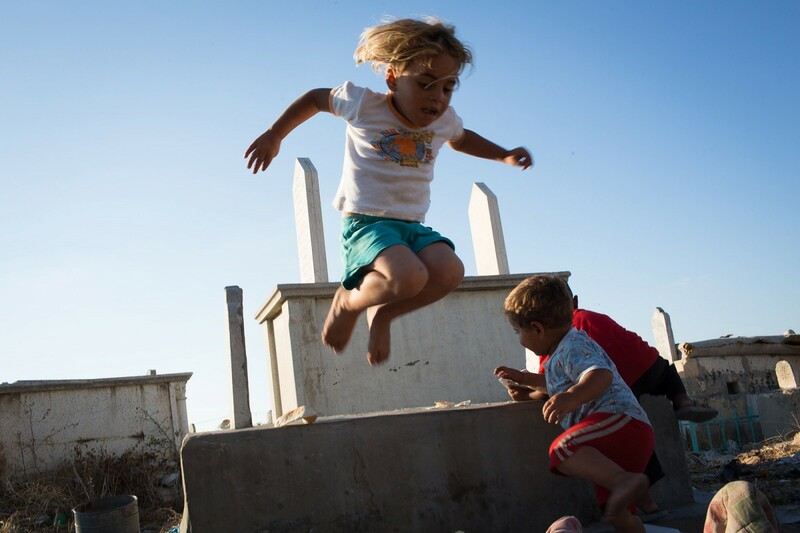 Gaza, Palestine - 10/07/2015: Children from the community who live in the Sheikh Sheban cemetery in Gaza City play between the graves. 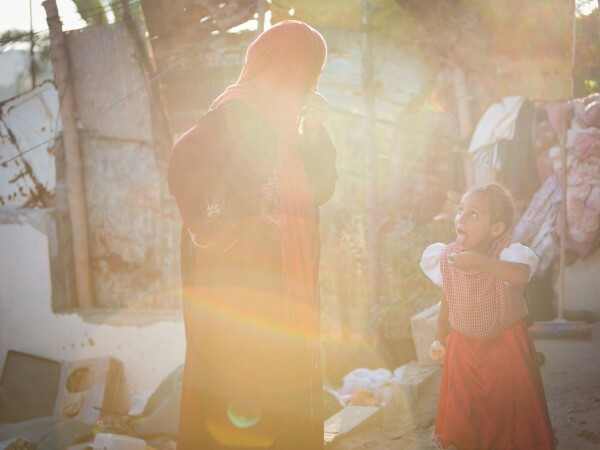 Gaza, Palestine - 10/07/2015: Mother and daughter of Khamis Omar Kuhail outside their bombed house. 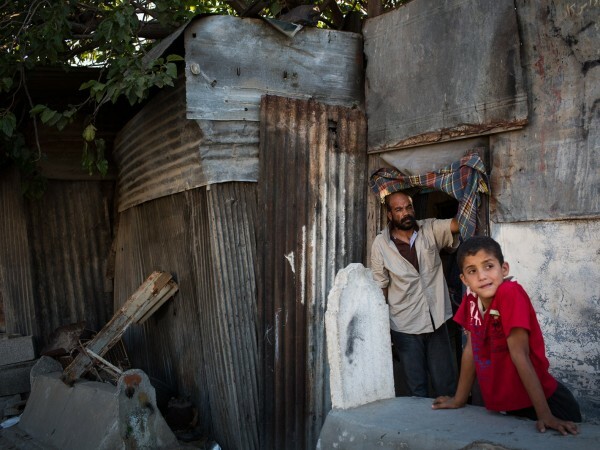 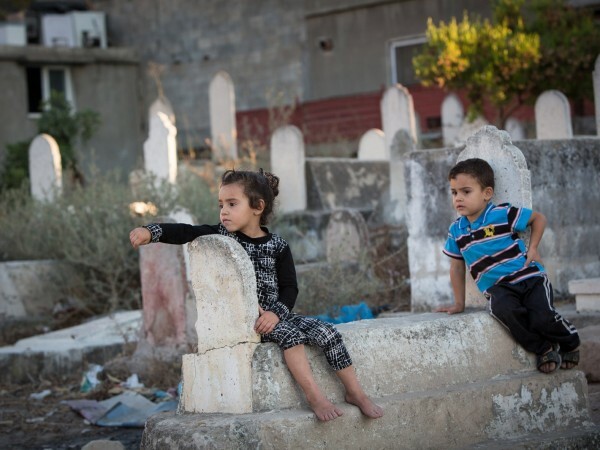 They live in the Sheikh Sheban cemetery in Gaza City. 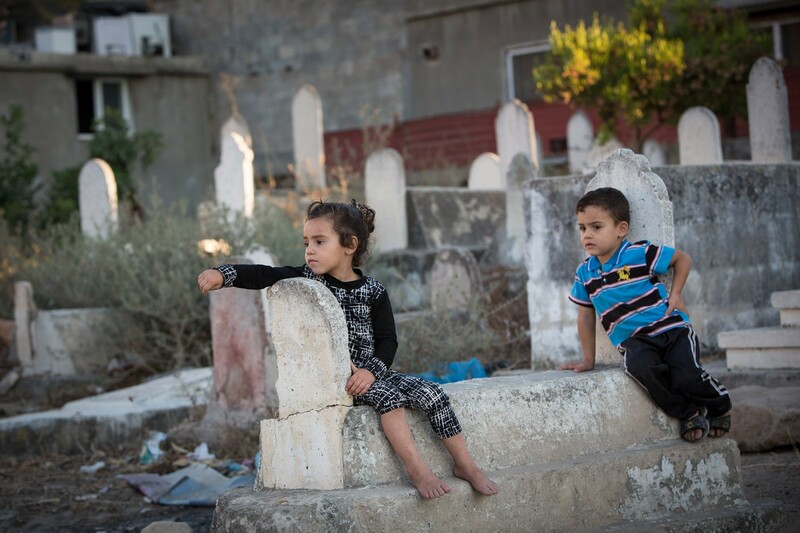 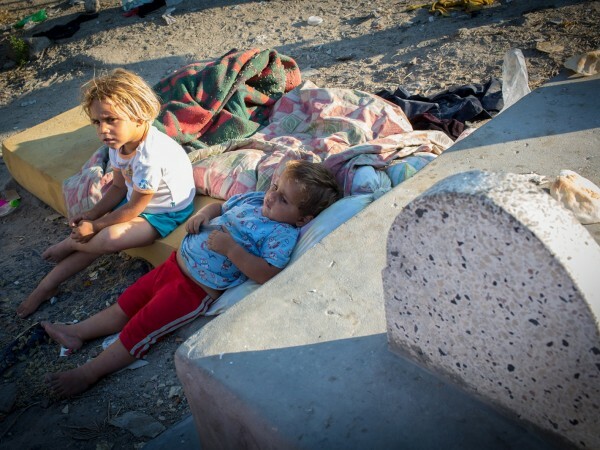 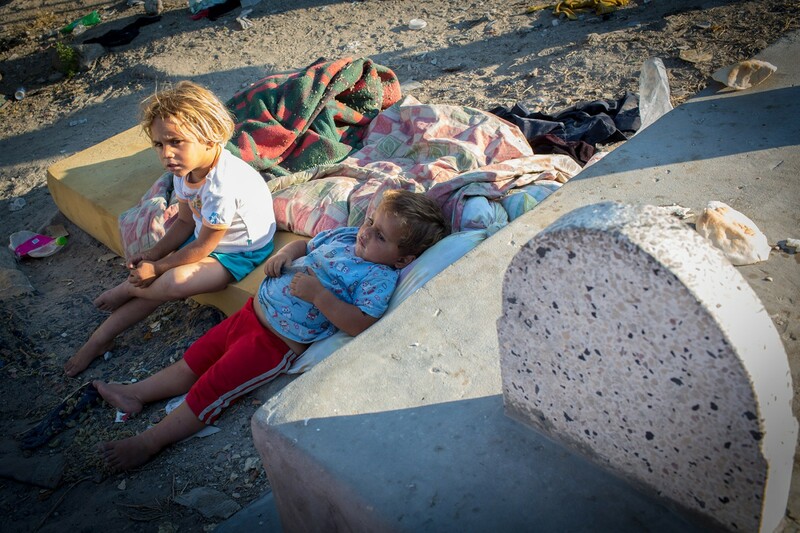 Gaza, Palestine - 10/07/2015: Two children sitting between graves, the Sheikh Sheban cemetery in Gaza City is their home.